We walked to the Brugge train station and boarded a train bound for Brussels then Amsterdam. 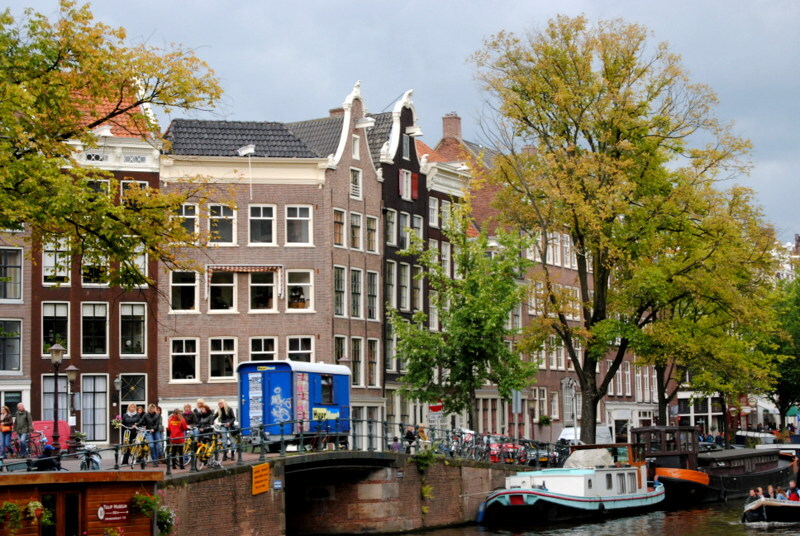 When I was gathering information on transportation and accommodations for the trip I was having a hard time finding a place in Amsterdam that fit within our budget (around $100.00 per night). 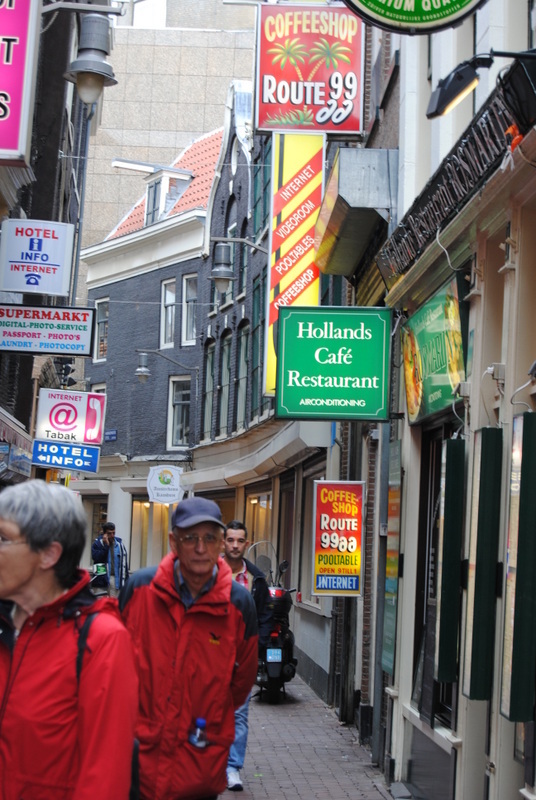 I ended up visiting a site called Better Bidding and bidding on a hotel in Amsterdam. I wanted to be close to the train station so focused my bidding on that area. We were able to get the Movenpick, which was a short walk from the train station, for $72.00 American per night. It was a beautiful modern room with a great view, close to everything. We found it cheaper to order breakfast from room service than to go to the buffet-and it was much more relaxing. 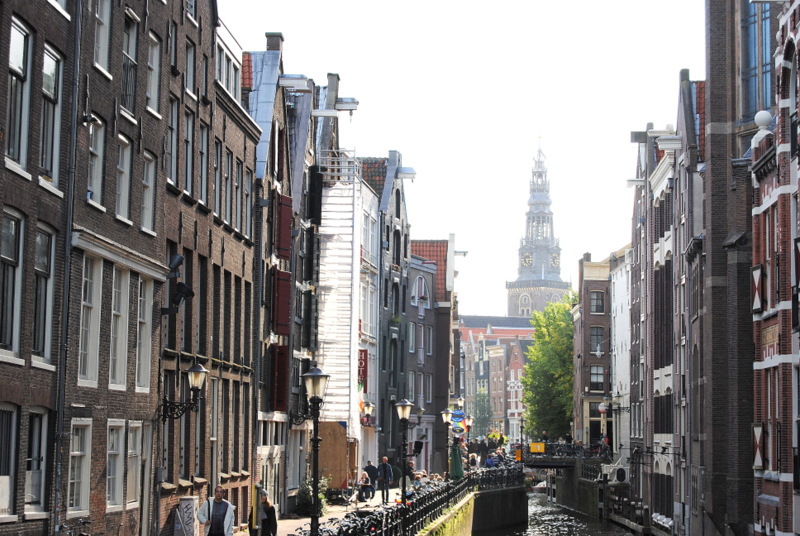 We purchased canal bus passes for 22 euro each and travelled around the city via the canals. It was a great way to see the city. We also visited the Van Gogh museum for 14 euro each. A lot of our time was spent just walking around the downtown area. 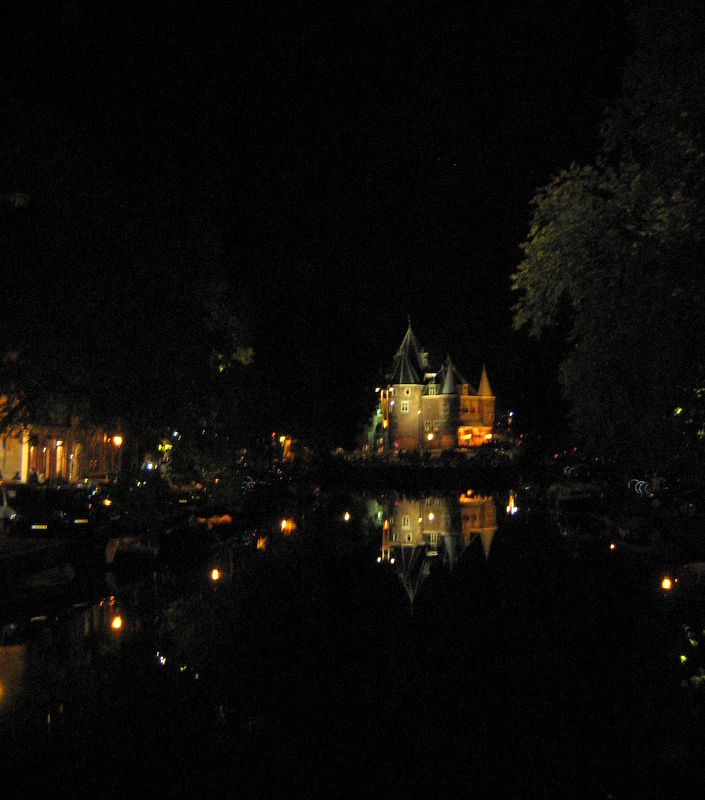 In de Waag cafe looks like a fairy castle at night. At one time Rembrandt had a workshop here. I had never seen such large bicycle parking lots. This one, outside the Amsterdam train station is a few stories tall. 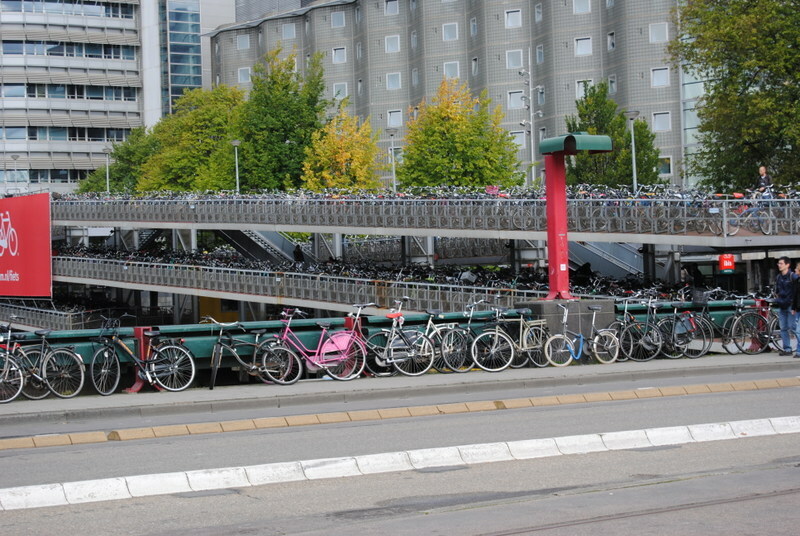 In Belgium and the Netherlands there were bicycle parking lots at the train stations. What a sensible idea to cut down on the pollution and congestion caused by cars in downtown centres. 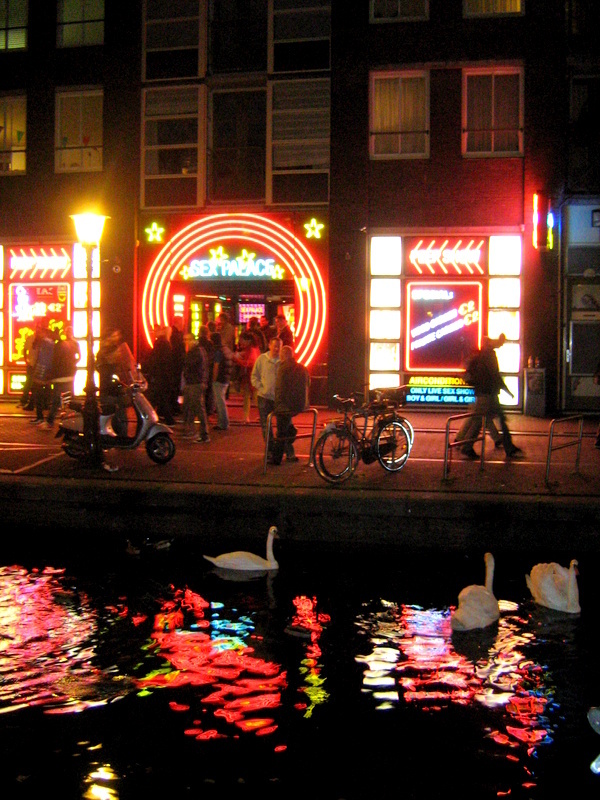 A visit to Amsterdam would not be complete without a stroll through the red light district. Or checking out the coffee shops. The ‘menu’ was interesting. 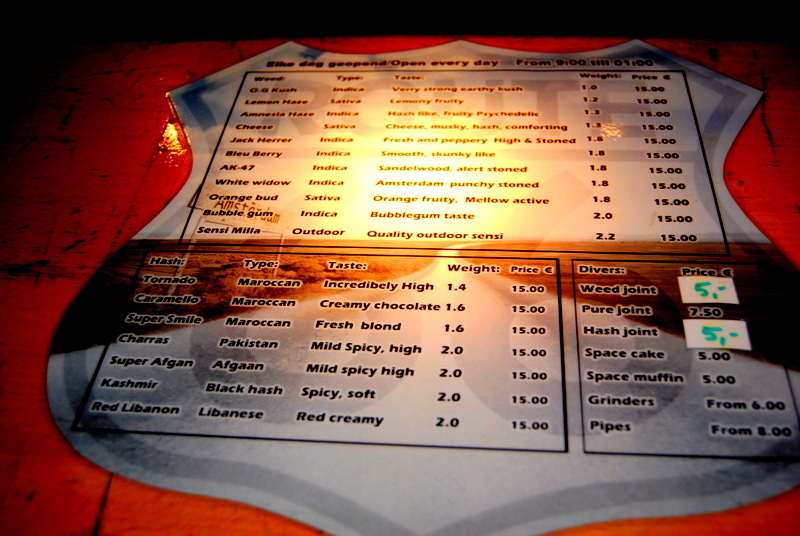 Laws prohibiting Amsterdam coffeehouses from selling marijuana to foreigners go into effect on January 1, 2013. I wonder if this will have an effect on tourism.